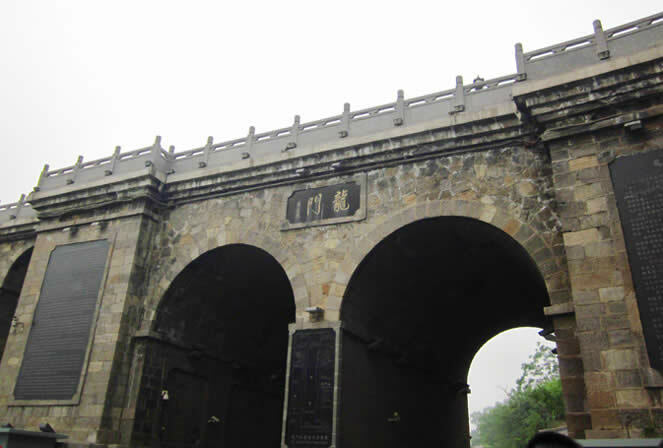 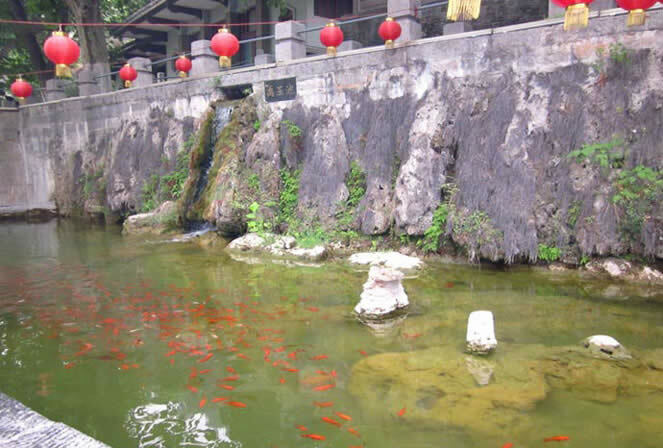 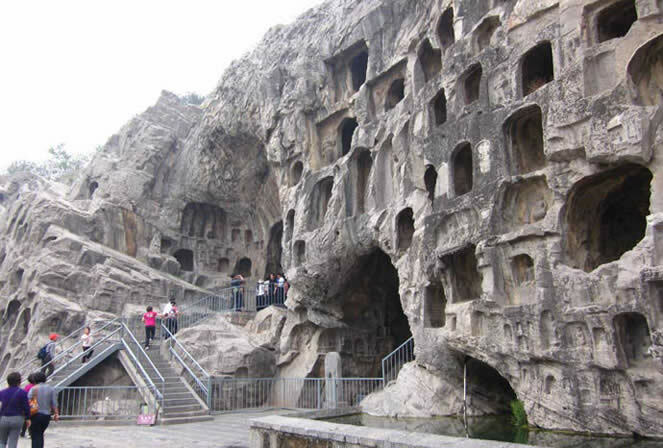 Lianhua Cave is named for the large lotus flower on the top of the cave. 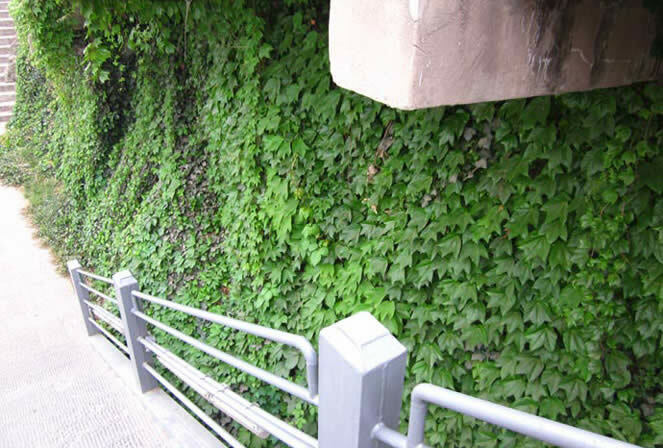 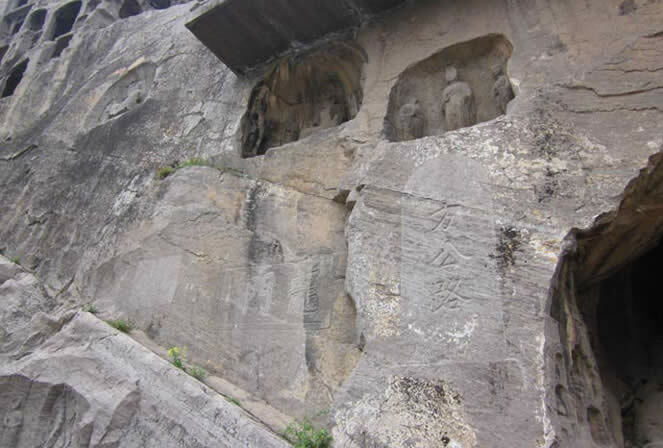 It was also excavated in the Northern Wei Dynasty. 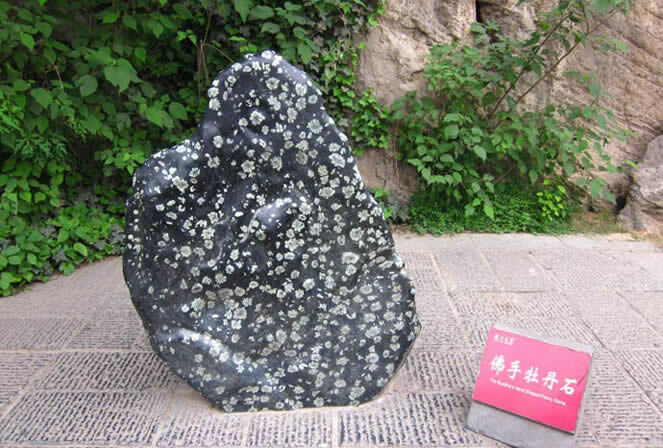 Lotus is the symbol of Buddhism, meaning grow in the mud but not stained. 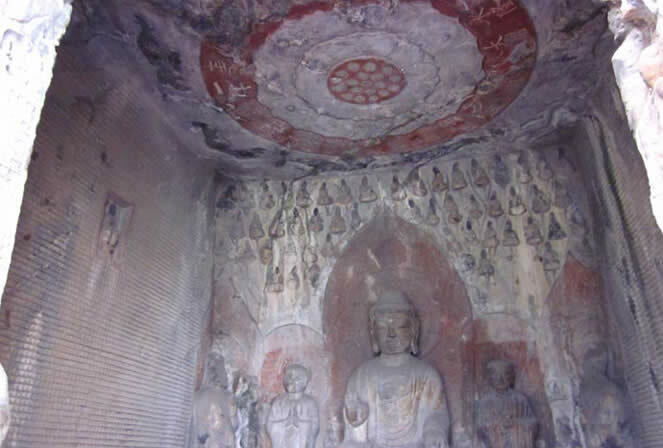 Therefore, lotuses are generally used as a decoration for the Buddhist Grottoes, but as this huge beautiful Lianhua Grottoes in high relief a large lotus flower is also rare in the Longmen Grottoes. 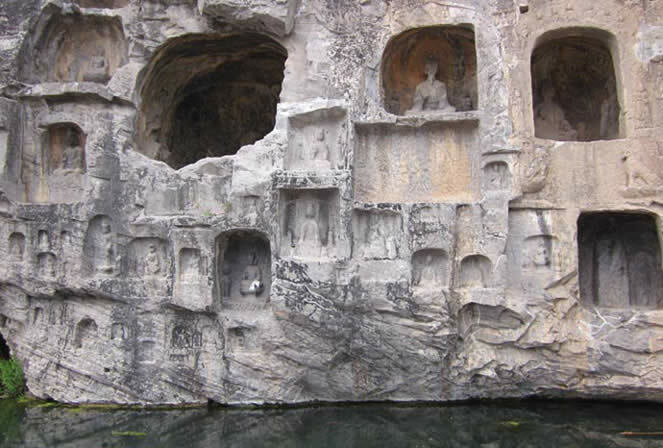 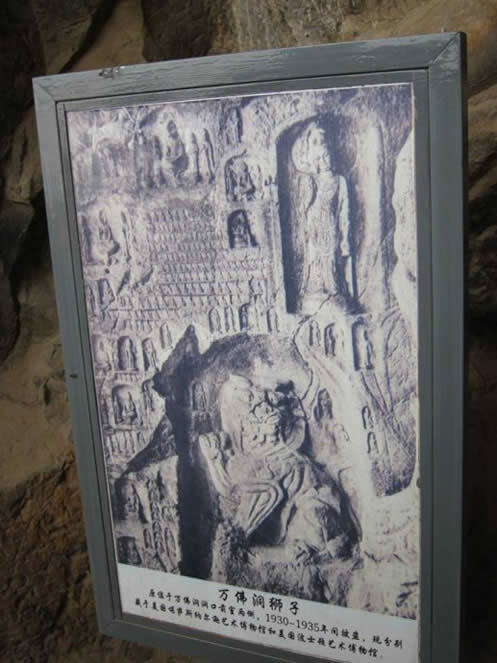 There are 10,005 small Buddhas in "Lianhua Cave". 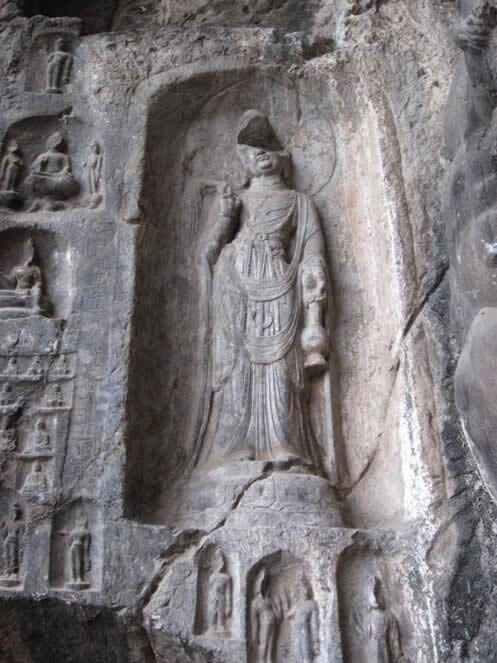 This dense little Buddha, each high 4 cm, even the smallest is 2 cm high, called dermabrasion. 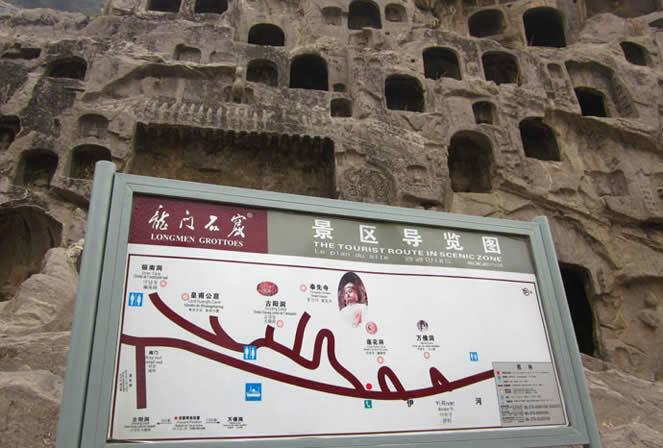 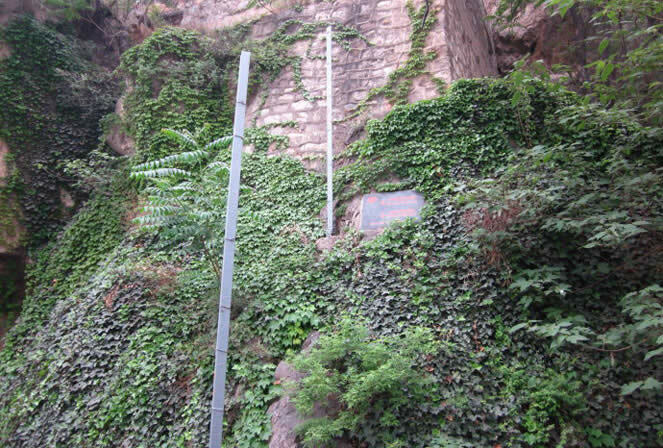 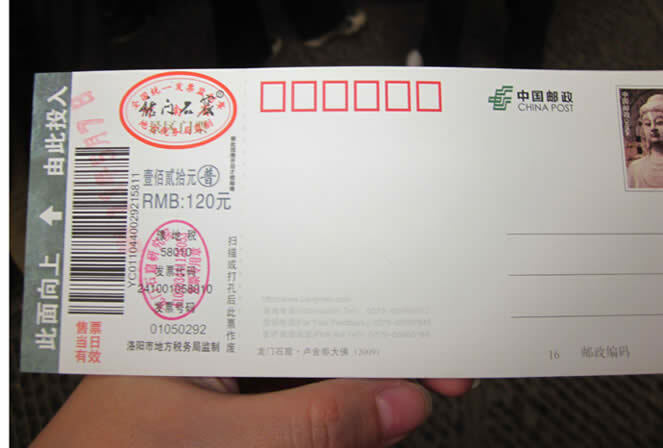 Therefore, it is also called Wanfo Caves in Chinese. 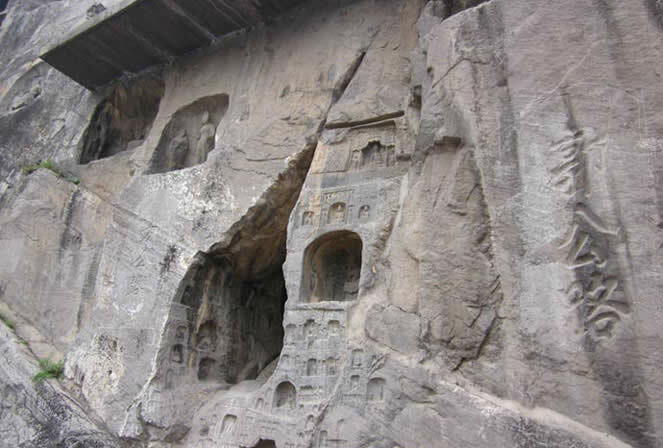 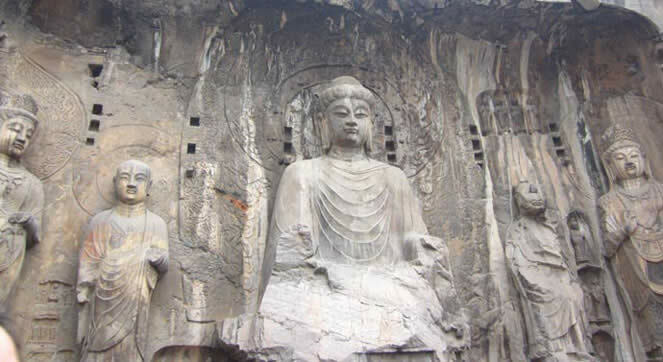 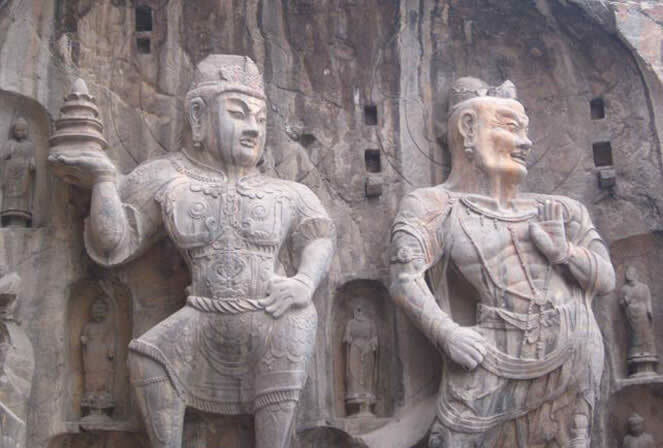 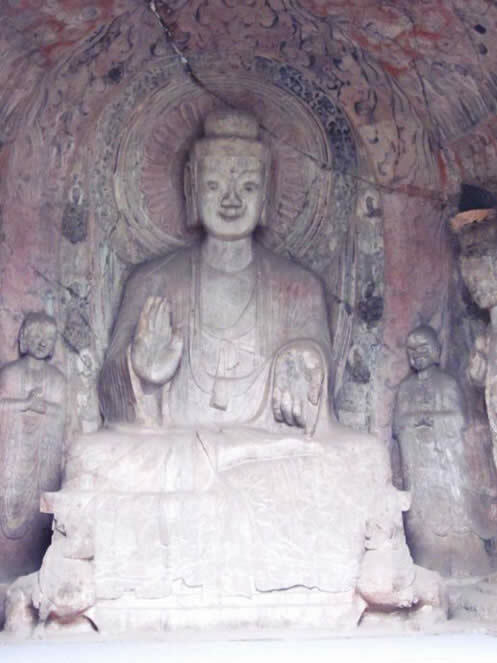 Fengxian Temple is the largest and most exquisite group of cliff-type sculptures in Longmen Grottoes, because it belongs to the royal temple at Fengxian Temple and commonly known as "Fengxian Temple." 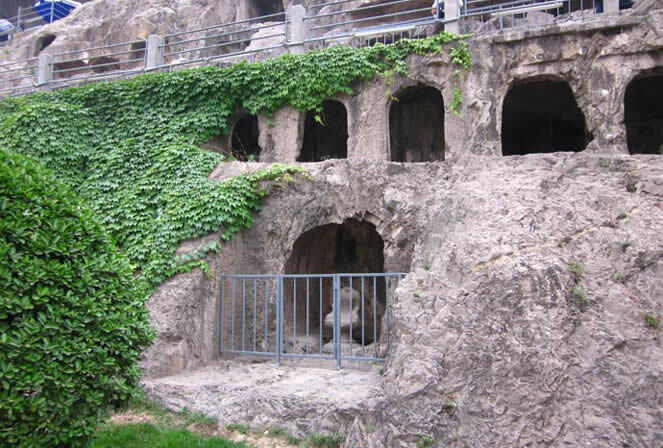 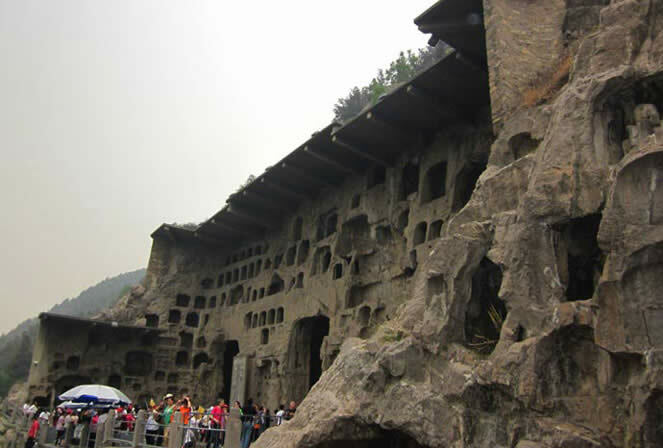 This cave was built in the early Tang Emperor (AD 672) , sponsored by the Queen Empress Wu powder and the construction was completed in AD 675. 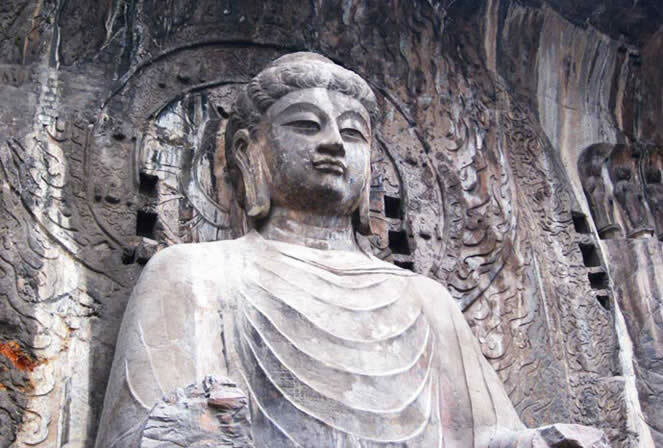 The north side of the main Buddhist inscription rosette called "The Great Losana niche", this Buddha is 17.14 meters high, and its head is 4 meters high with 1.9 meters long ears. 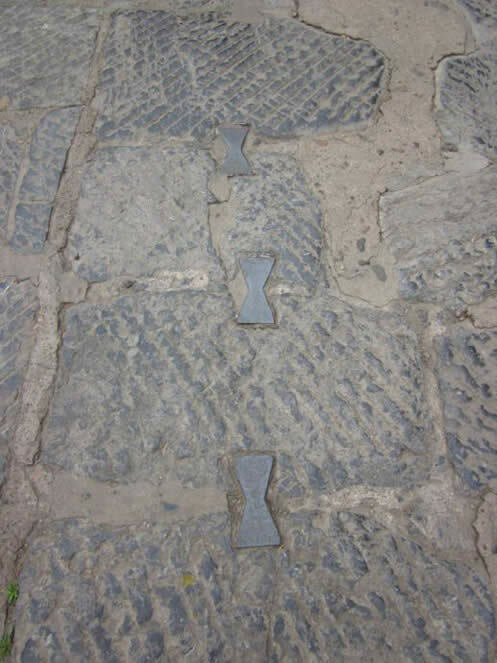 There are many people that day, tourists. 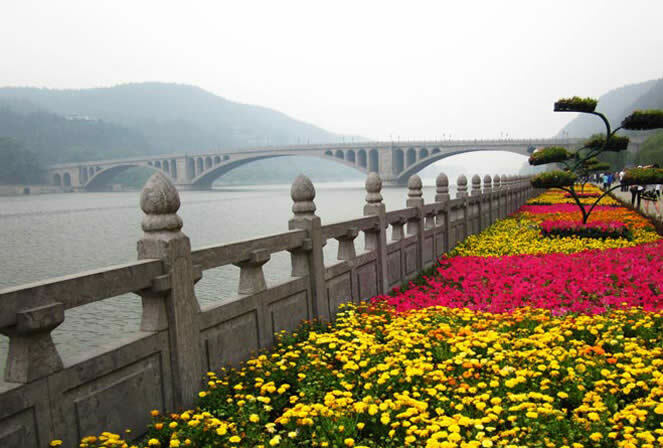 When I was complaining about why so many people in such a normal weekend, but our tour guide said it was nothing, on the opening day of the Peony Fair in April this year, that Saturday, there are more than 70,000 visitors. 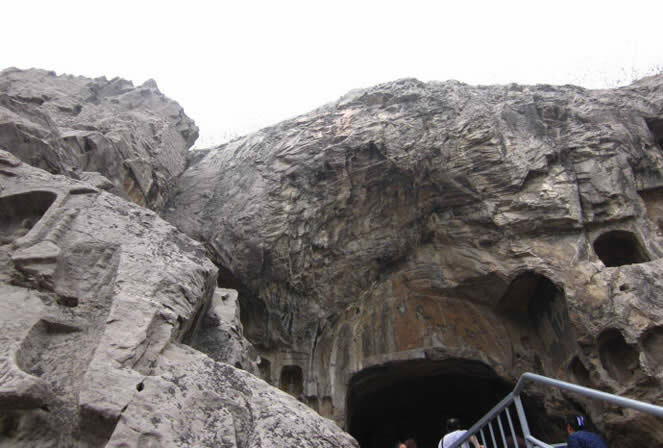 You can see nothing but the hundred of thousand of people.